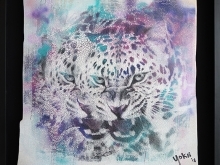 This is how most people define YOKII’s artworks. 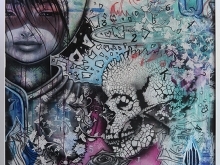 Layer upon layer of texture and detail capture the eye and intrigue the mind. 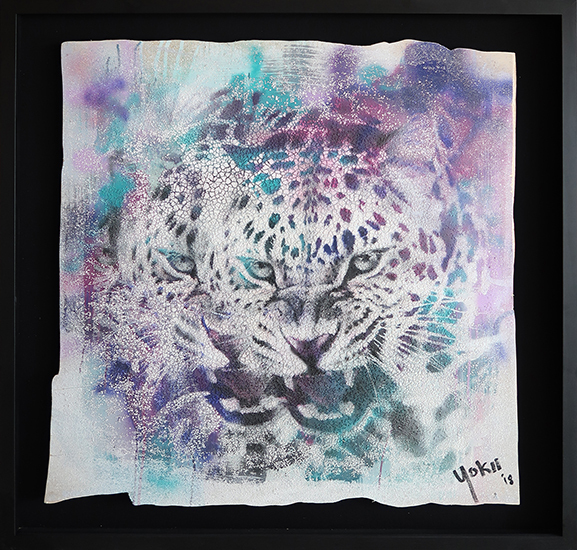 YOKII is known for his aggressive experimentation with a wide variety of materials—from fabrics to recycled plywood—to create garments, prints and other art forms. 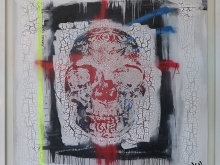 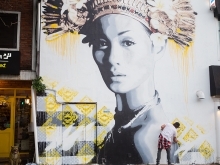 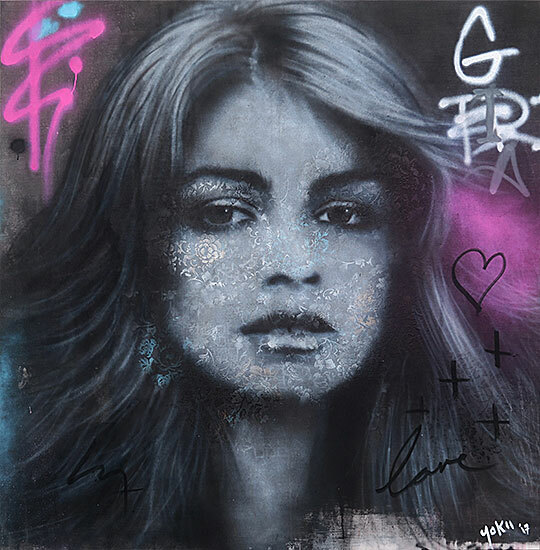 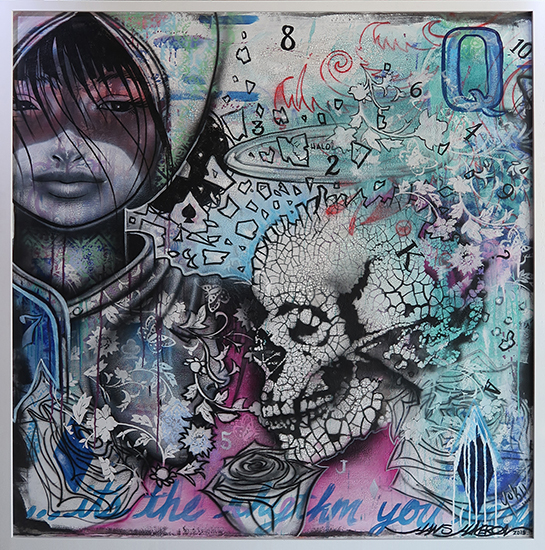 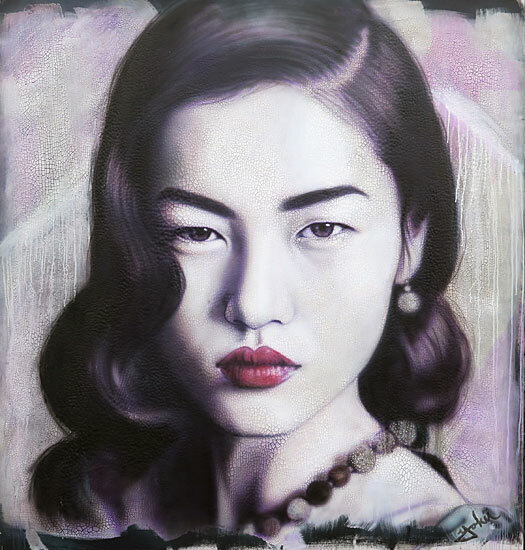 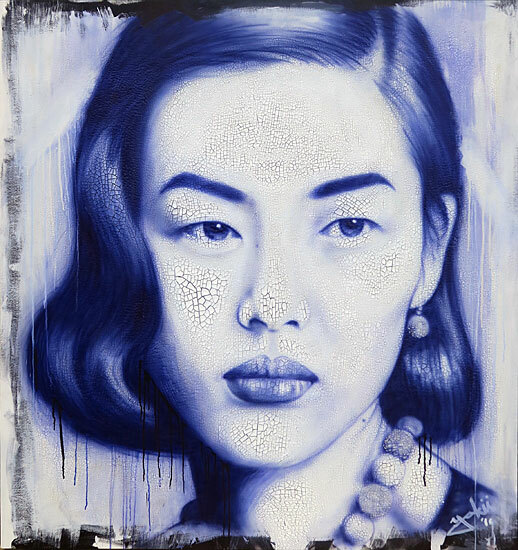 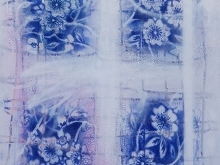 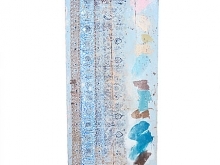 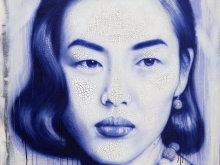 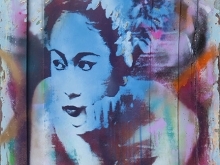 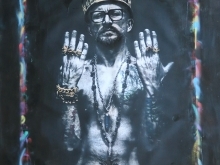 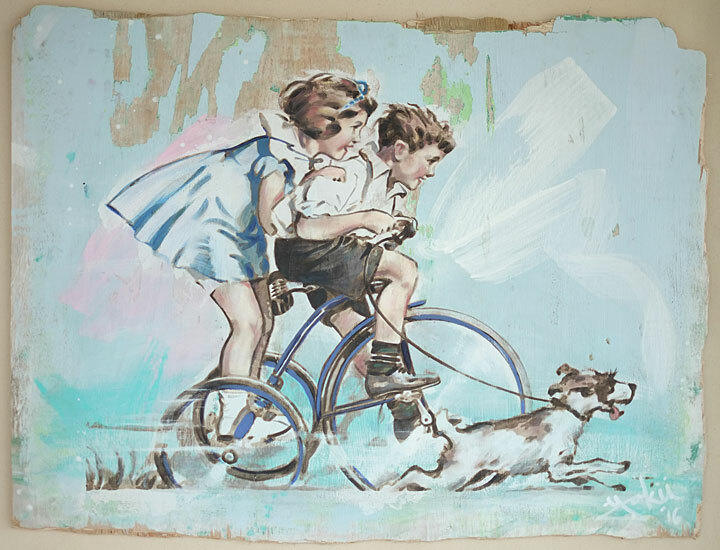 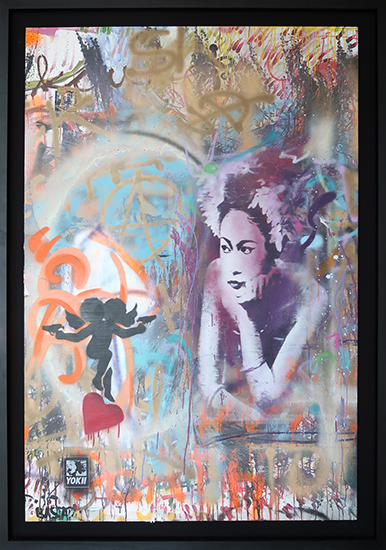 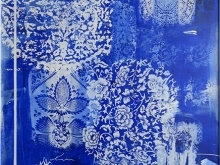 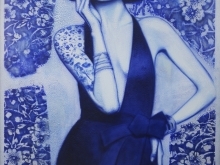 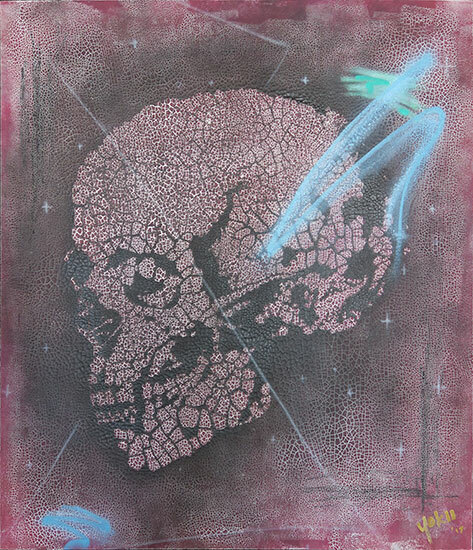 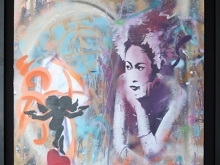 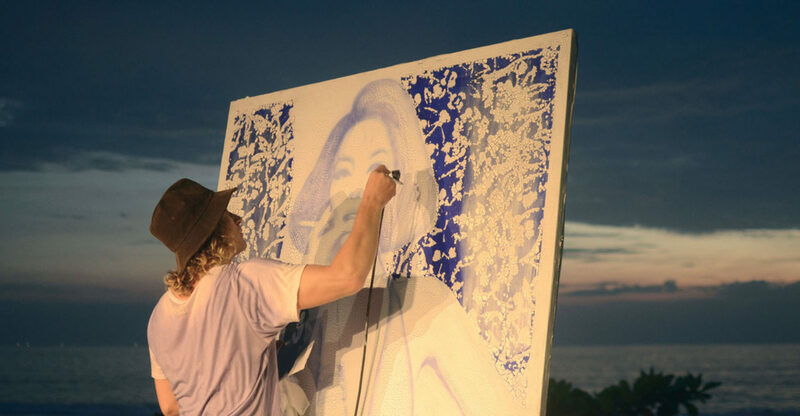 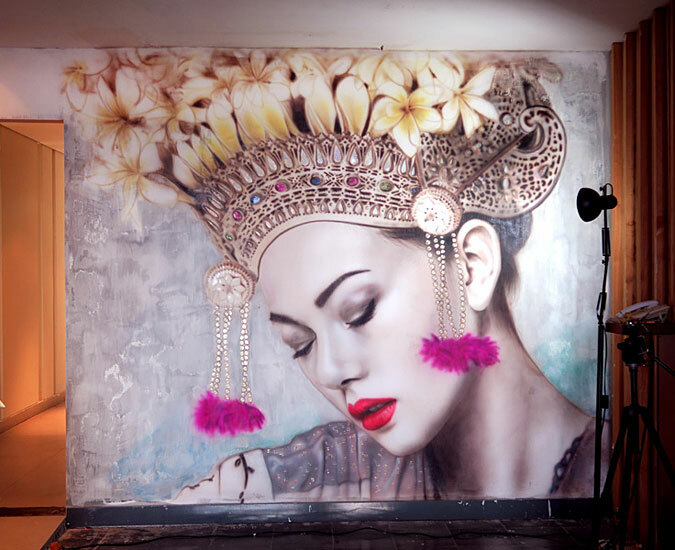 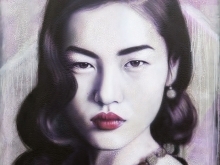 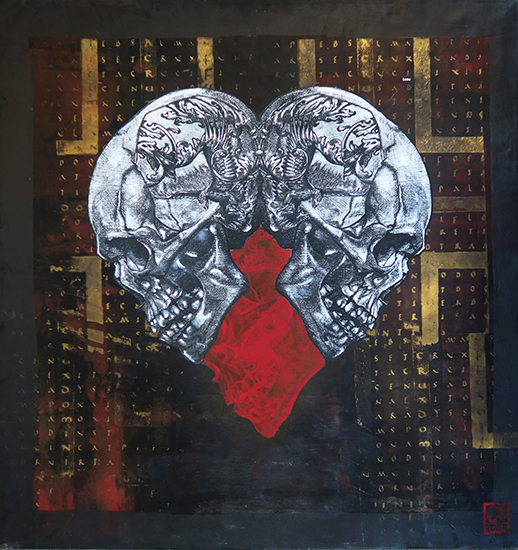 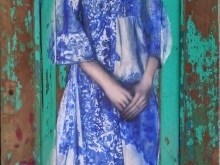 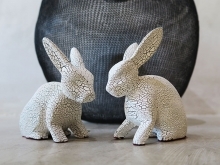 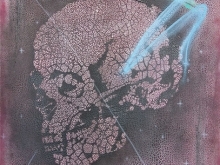 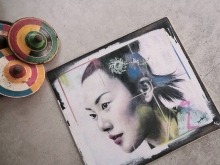 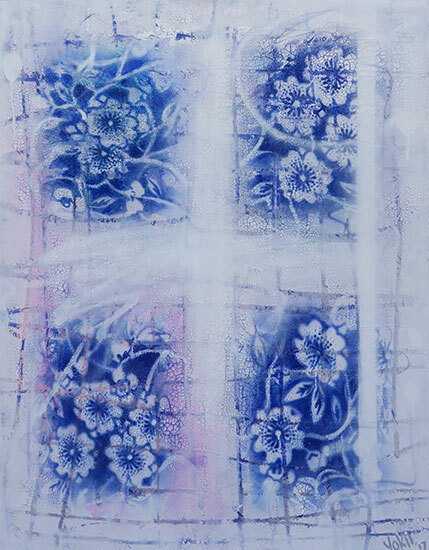 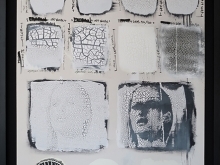 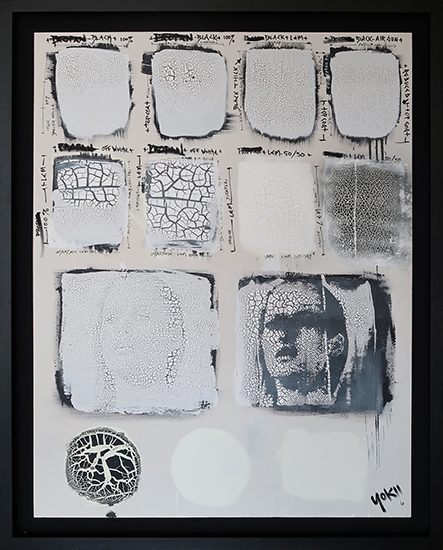 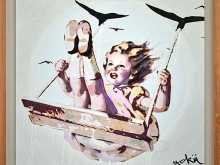 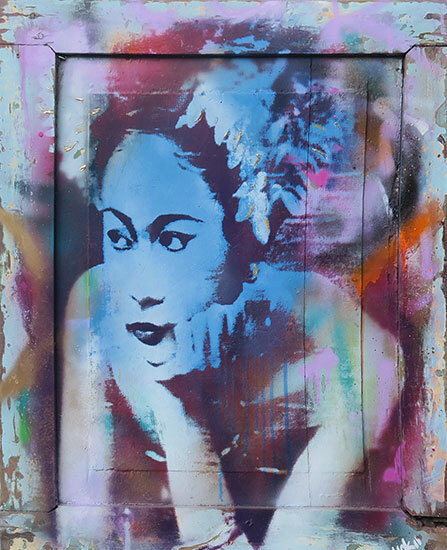 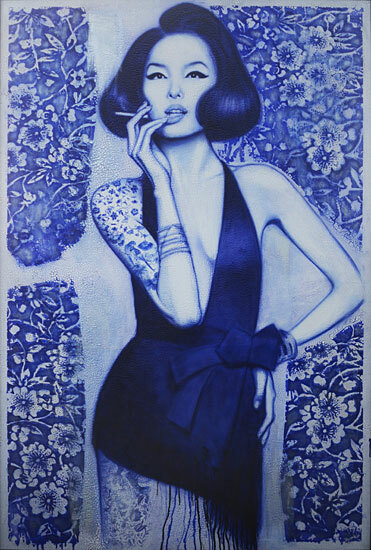 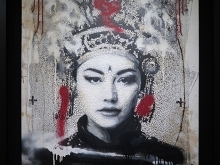 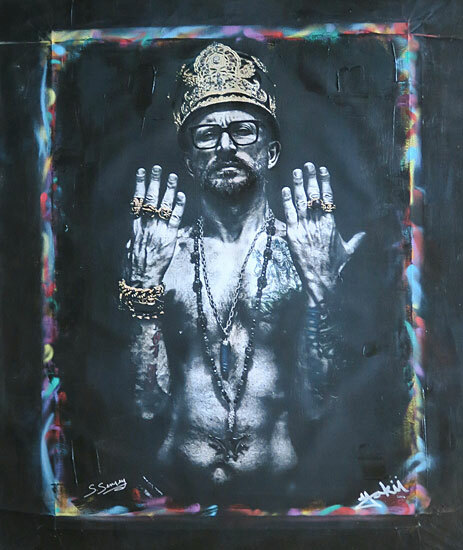 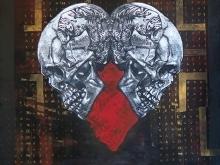 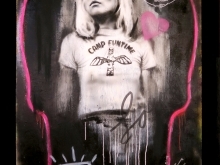 He takes on the most challenging of mediums through his mastery of varied techniques for applying paint or print to sundry surfaces. 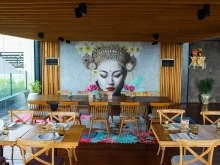 YOKII believes that every technical production problem can be overcome with a creative touch. 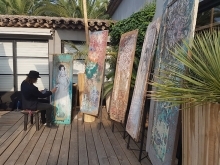 This is why fellow artists and designers come to him regularly to seek advice on artwork production and collaborate with the versatile art engineer. 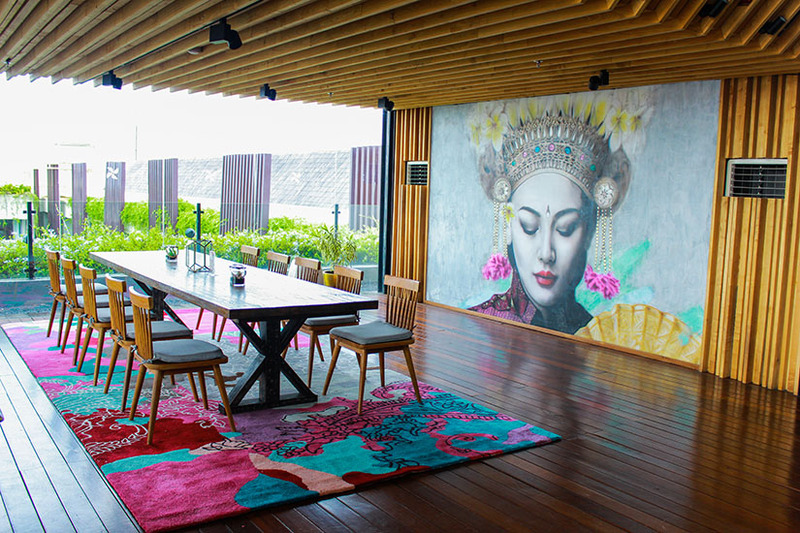 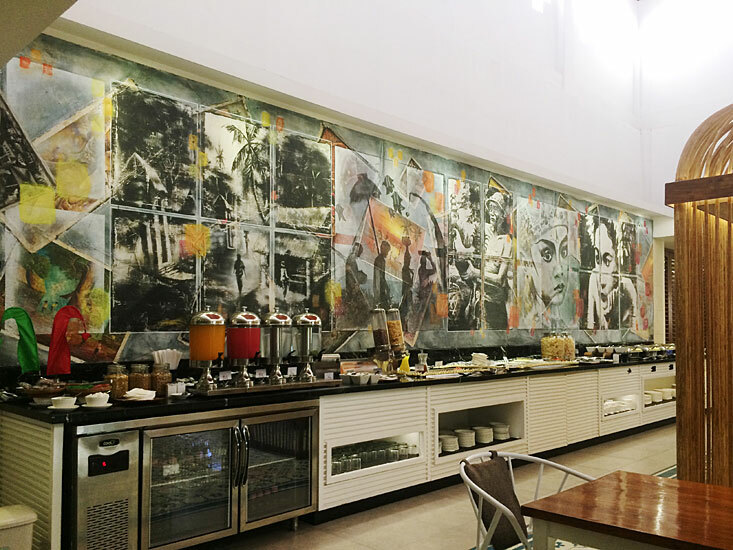 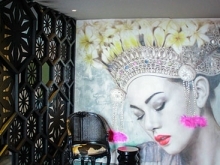 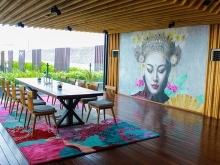 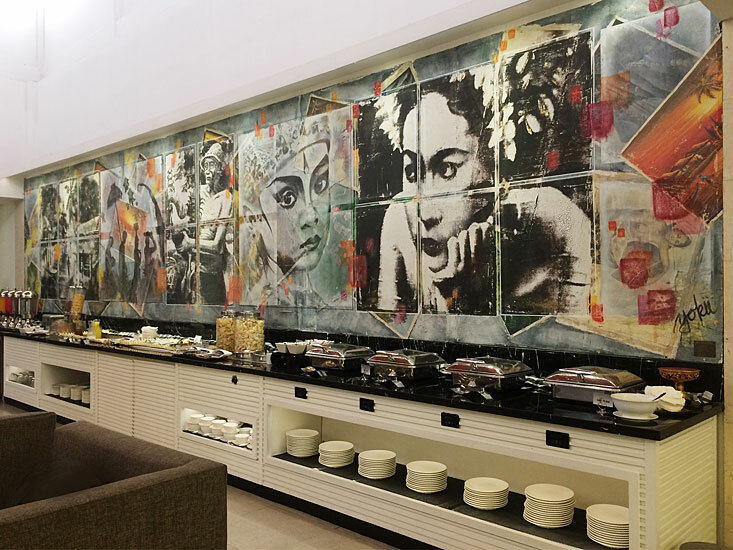 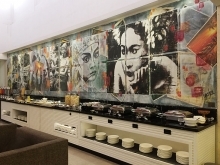 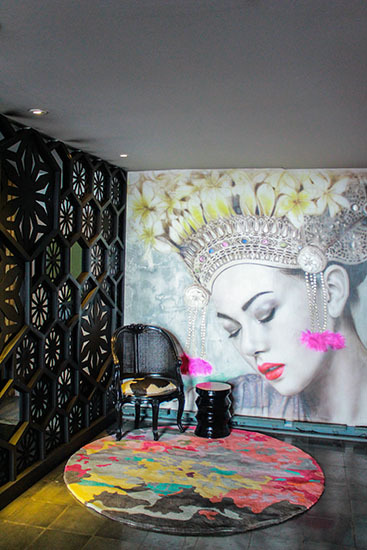 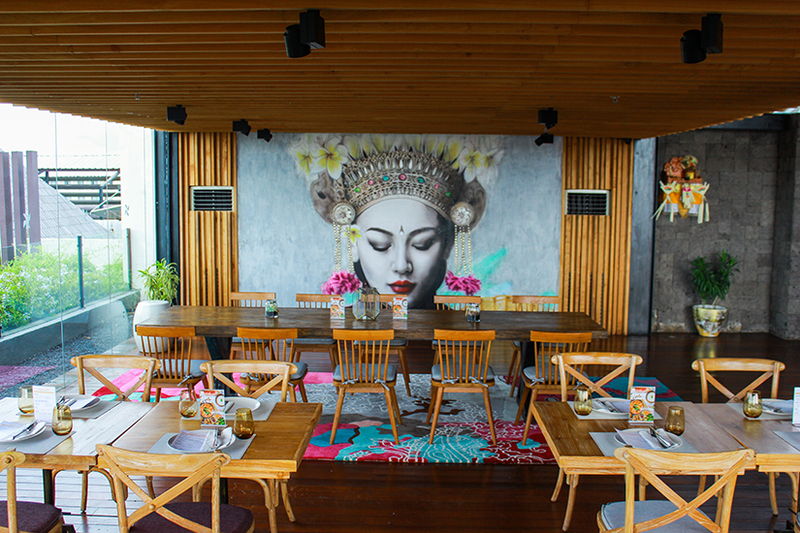 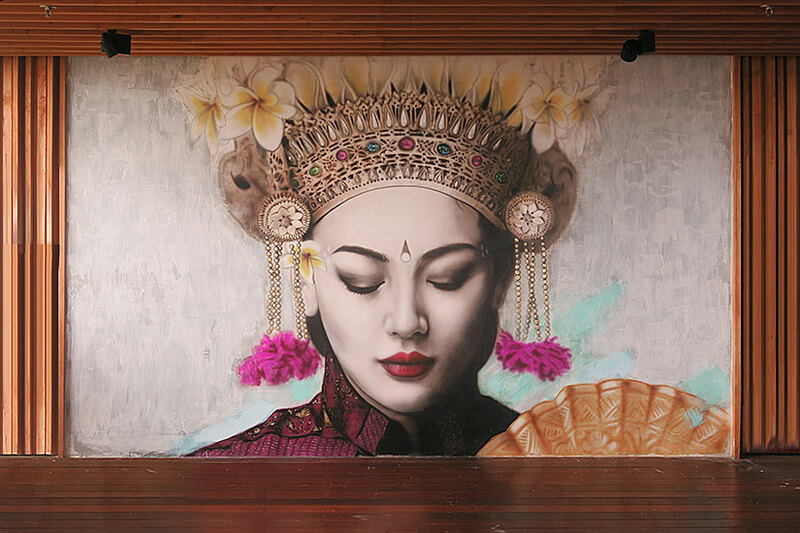 In 2015, YOKII created a striking 9-meter wall piece for a VIP lounge at the Domestic Departure Terminal at Ngurah Rai International Airport, Bali. 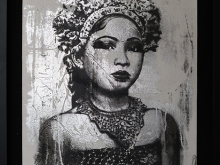 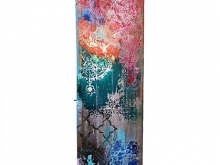 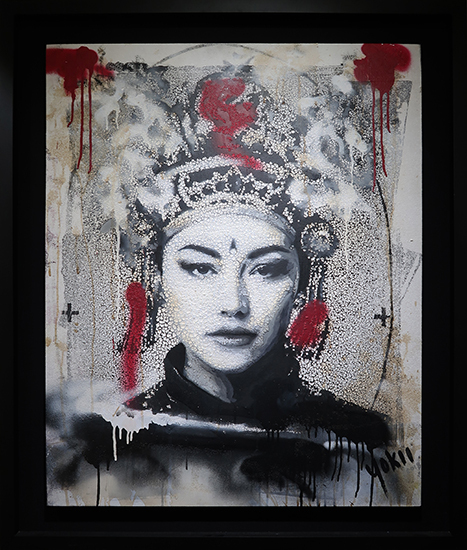 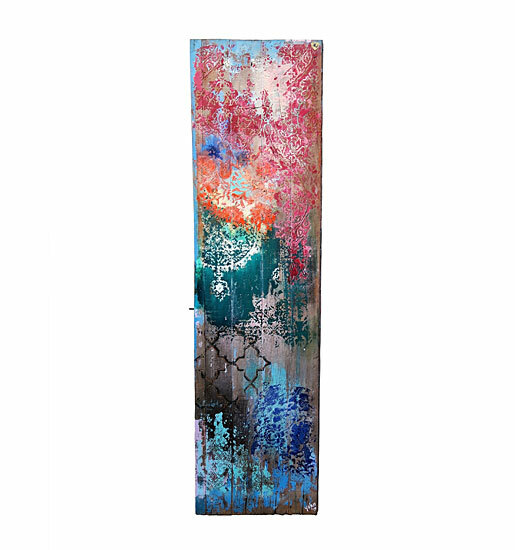 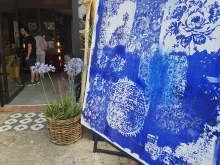 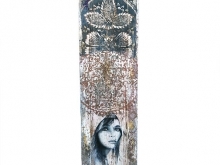 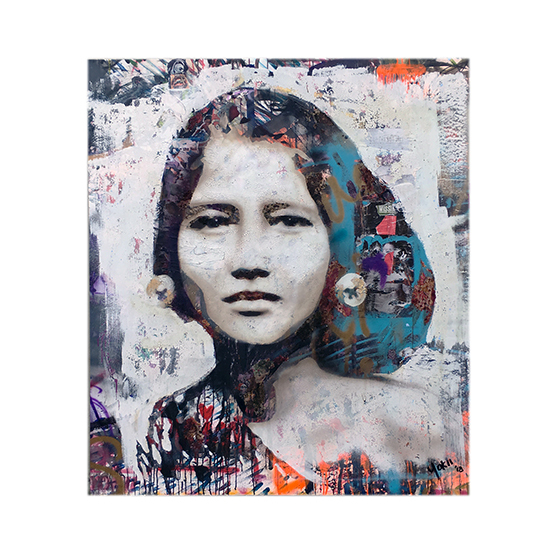 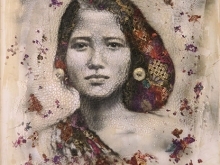 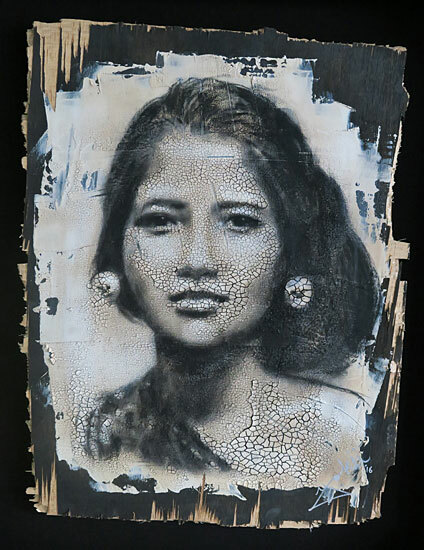 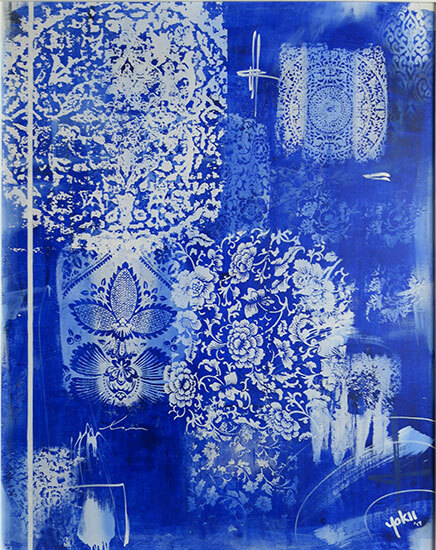 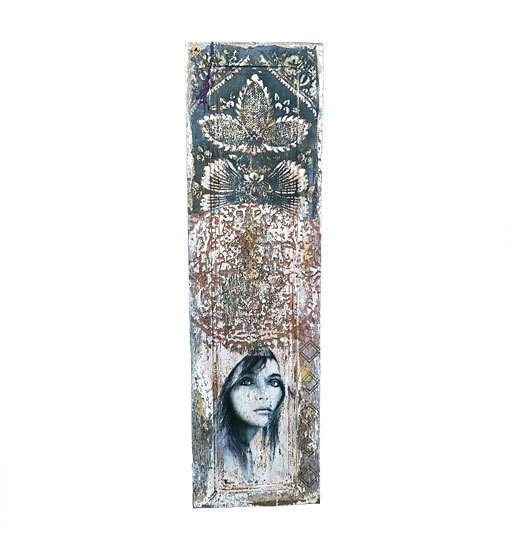 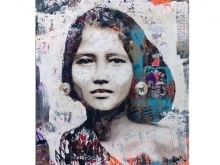 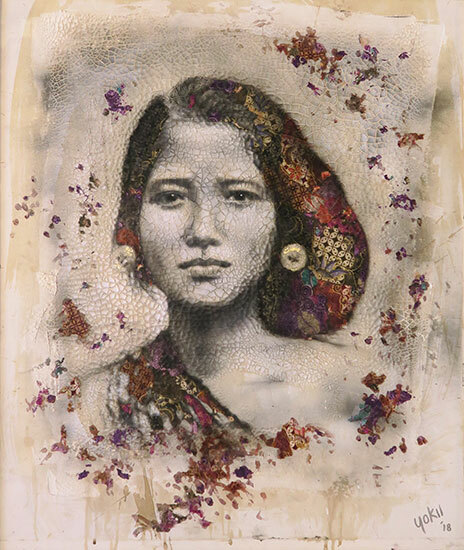 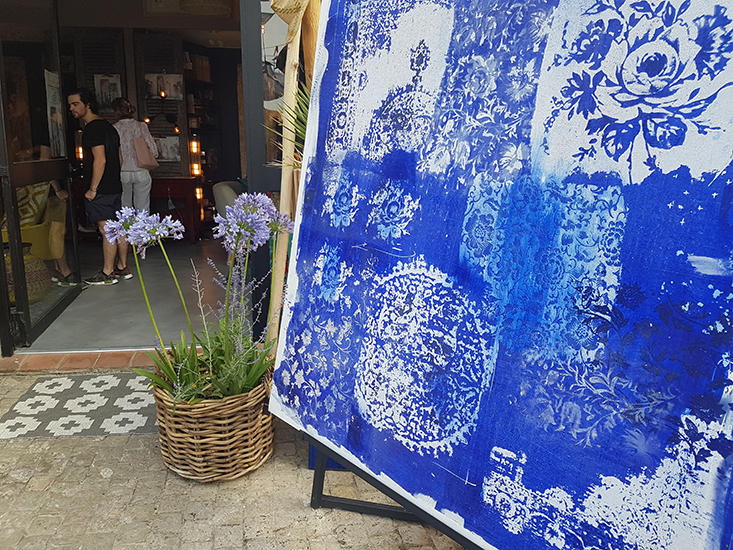 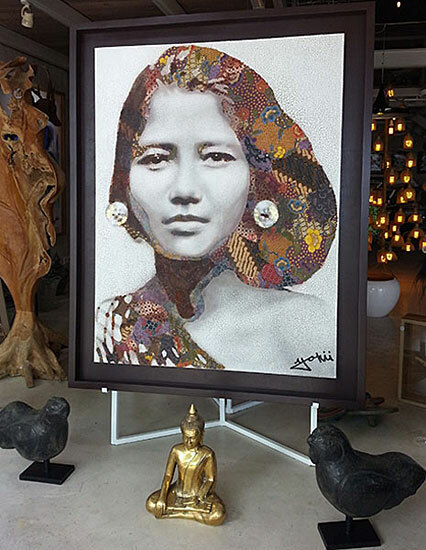 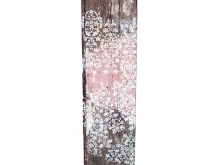 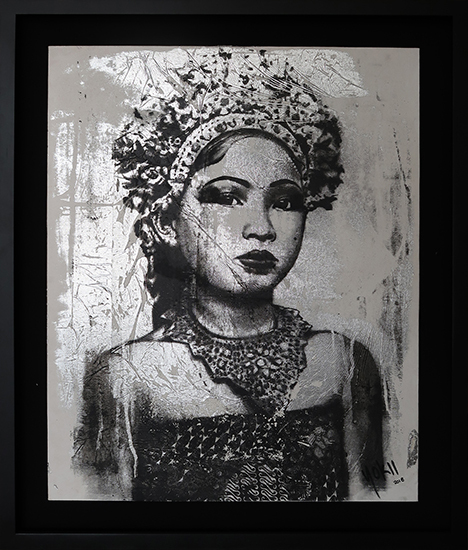 This artistic journey, which took him over two months to complete, was executed with bold hand printing using giant silk screens, painting, and collaging to achieve a heavily textured piece inspired by traditional Balinese culture. 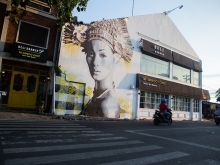 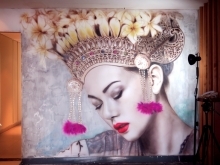 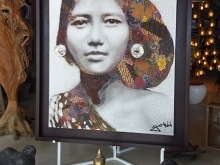 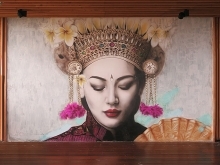 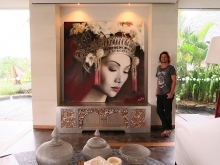 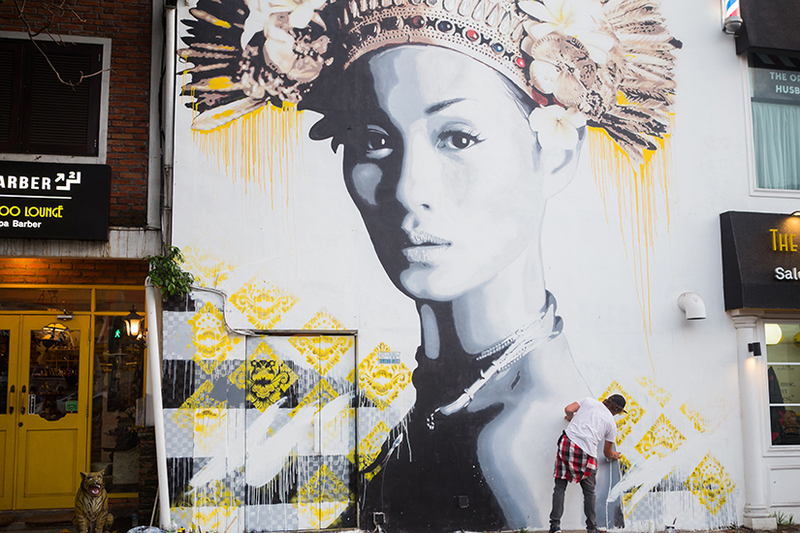 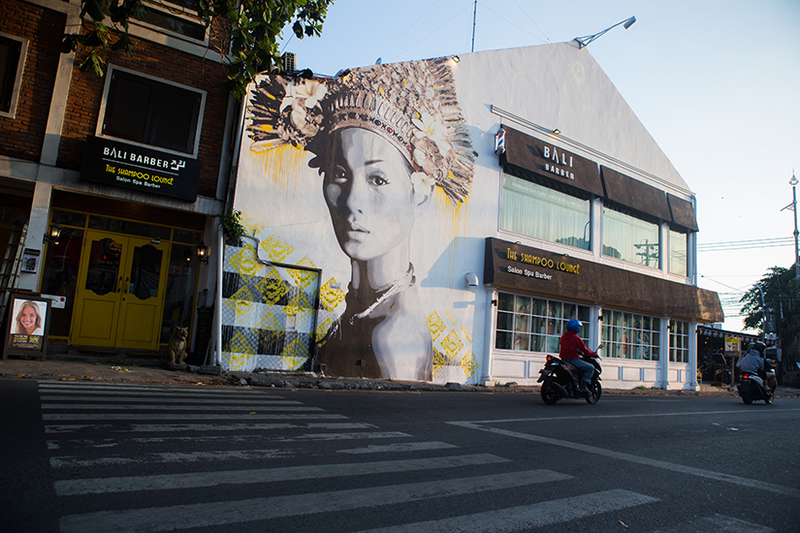 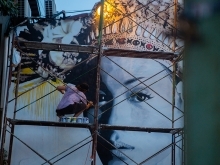 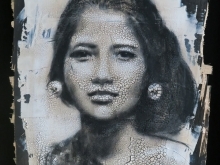 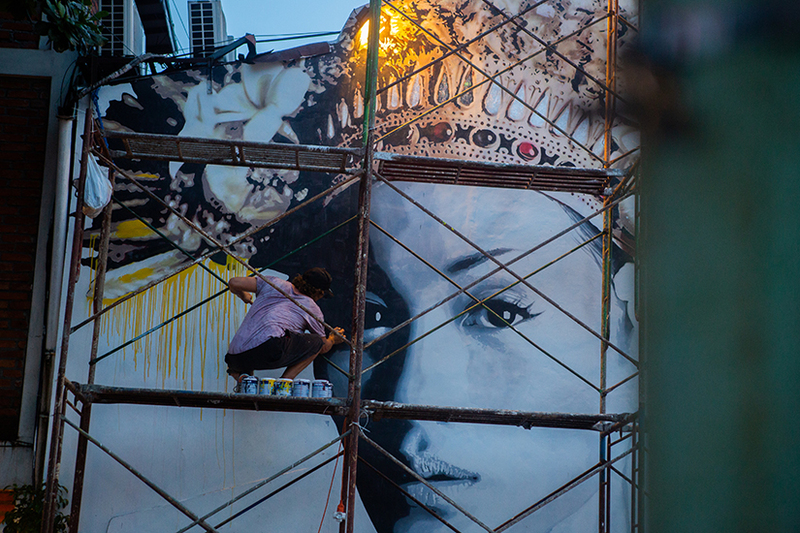 The impressive artwork captures the visual impact of Bali’s ancient heritage with a modern eye and reminds the onlooker why people from around the world come to the island: Bali transports them from the fast-faced, instant, carbon-copy culture of their homes to one that practices unhurried reverence for nature, gods and ancestors. 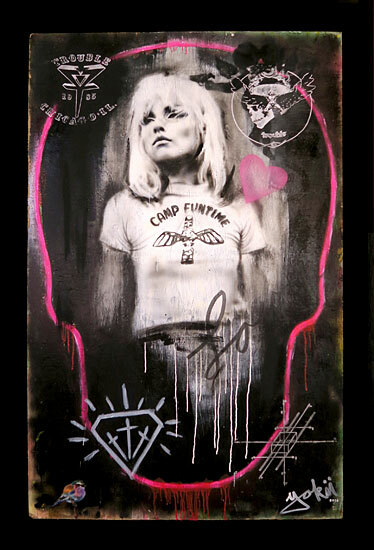 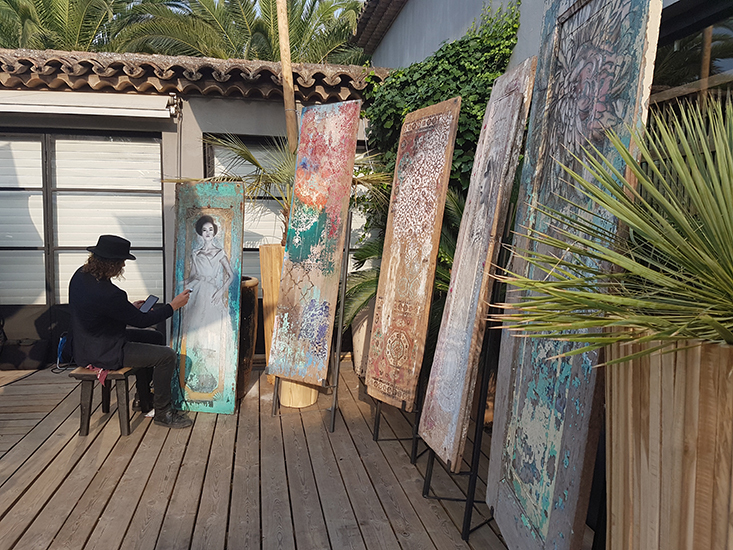 In 2017, YOKII completed his solo exhibition in Taman Antik Gallery & Store, St. Tropez. 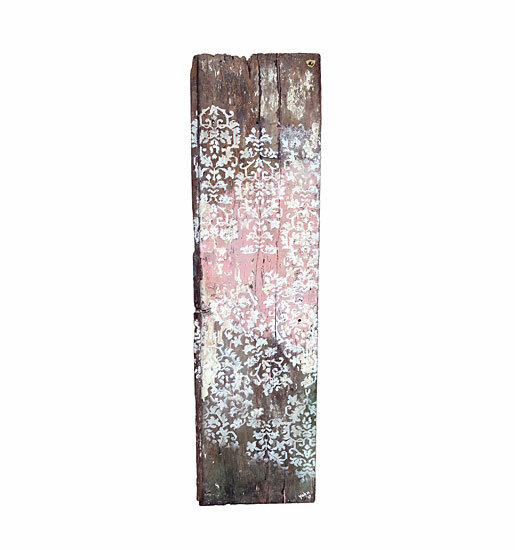 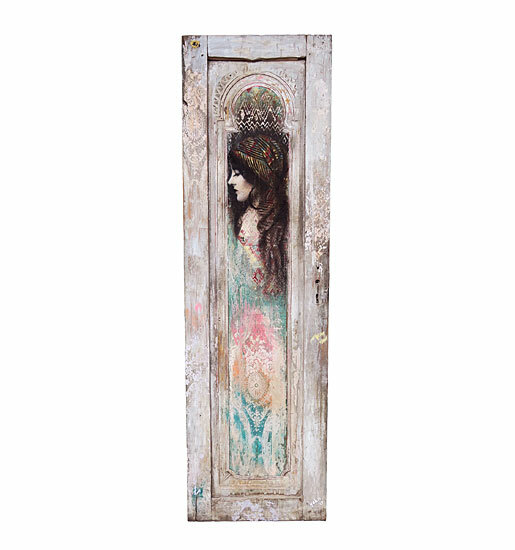 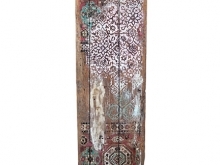 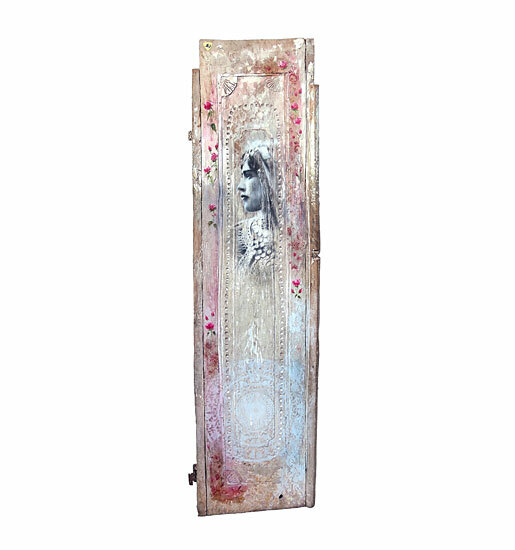 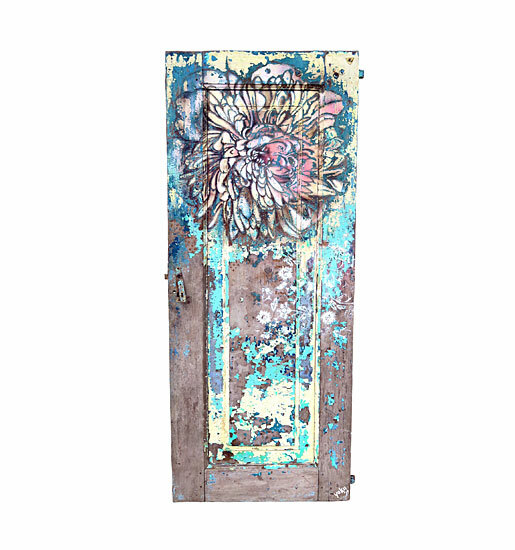 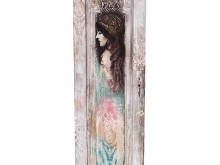 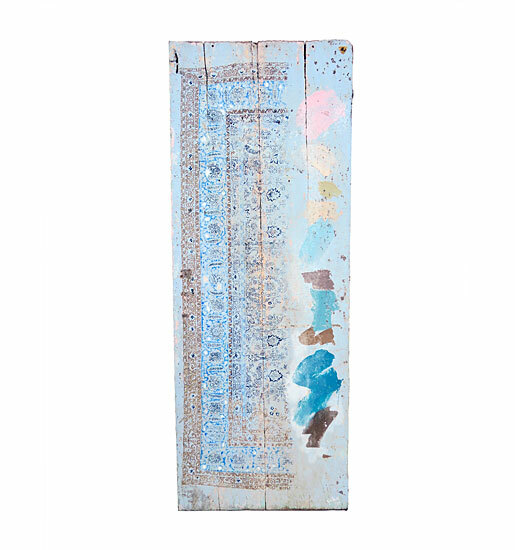 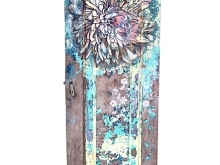 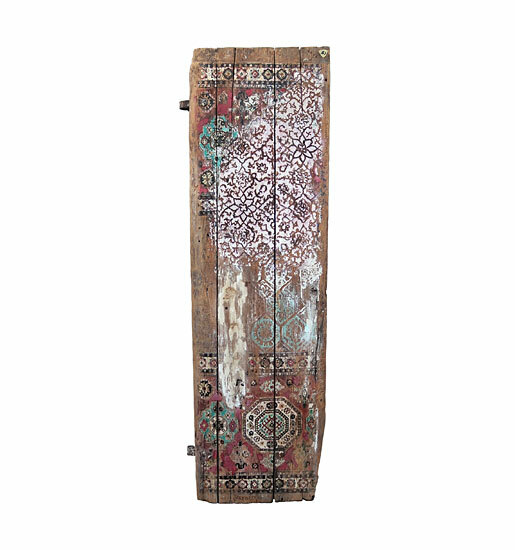 The collection showcased were nine magnificent collection of hand-processed antique wooden doors that combine bohemian vintage beauty and mixed media painting techniques. 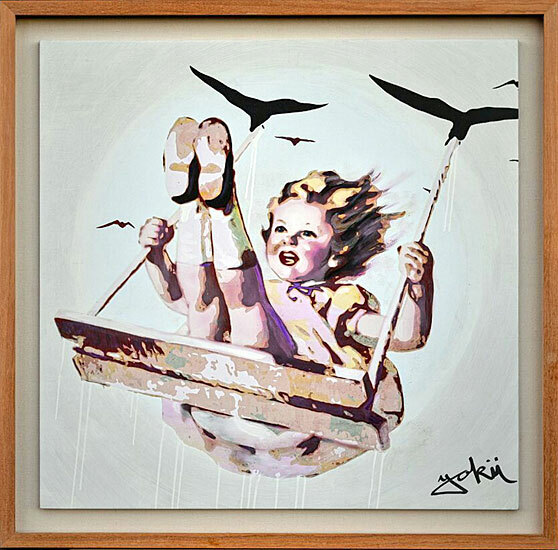 YOKII aspires to individual originality. 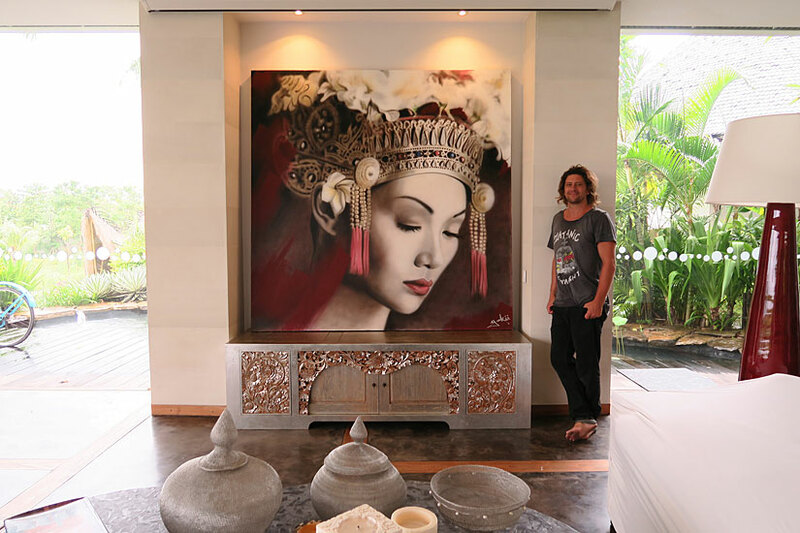 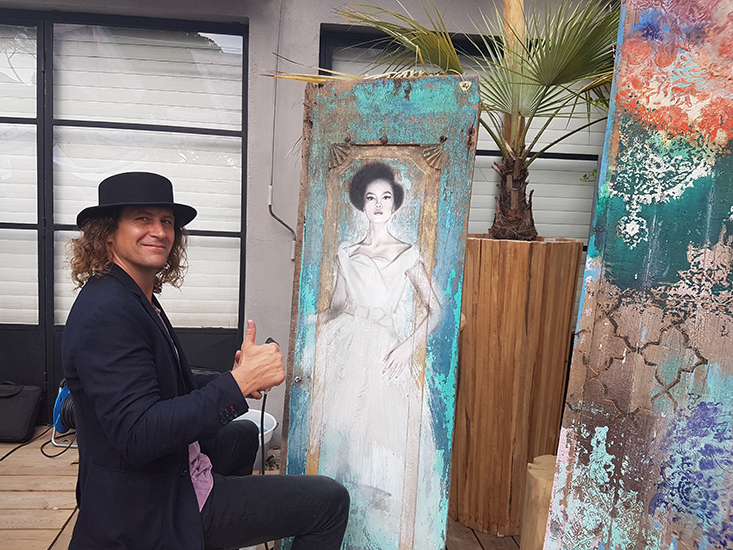 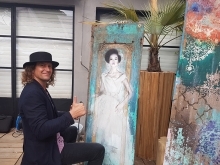 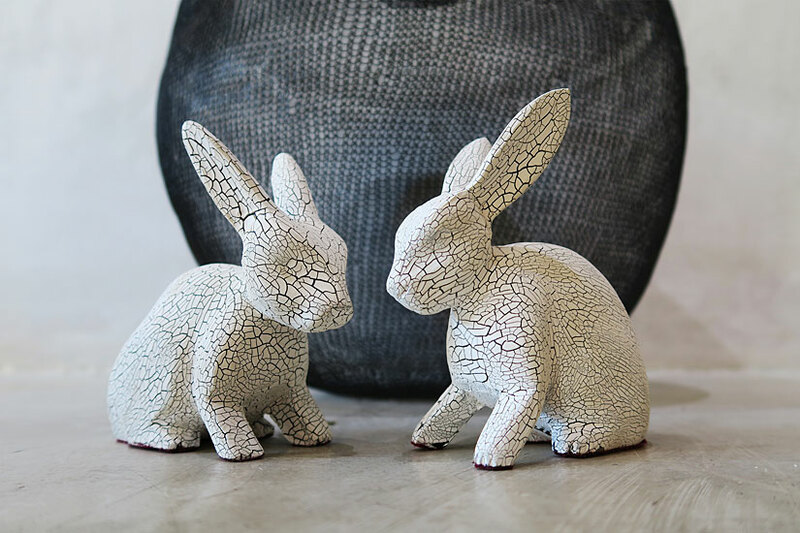 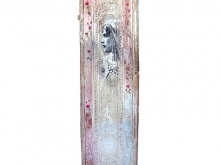 He is constantly generating unique ideas to create captivating and one-of-a-kind pieces.